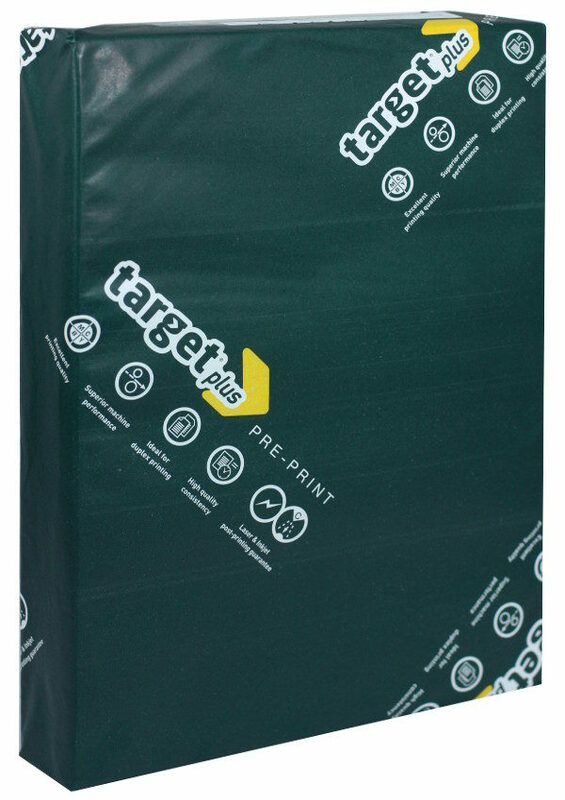 Description:- Target + is an exceptionally white, uncoated laser paper, guaranteed for offset pre-print and subsequent use on all digital laser printers and copiers. Manufactured by Portucel. Equivalent to Navigator, Inacopie and Pioneer.